Whoop! 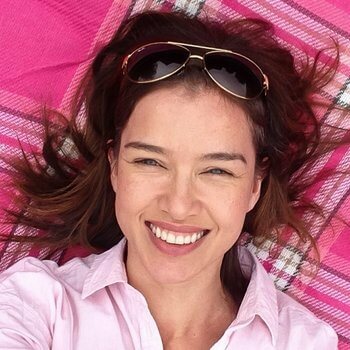 I get to review cool gadgets to organise and laminate my life! 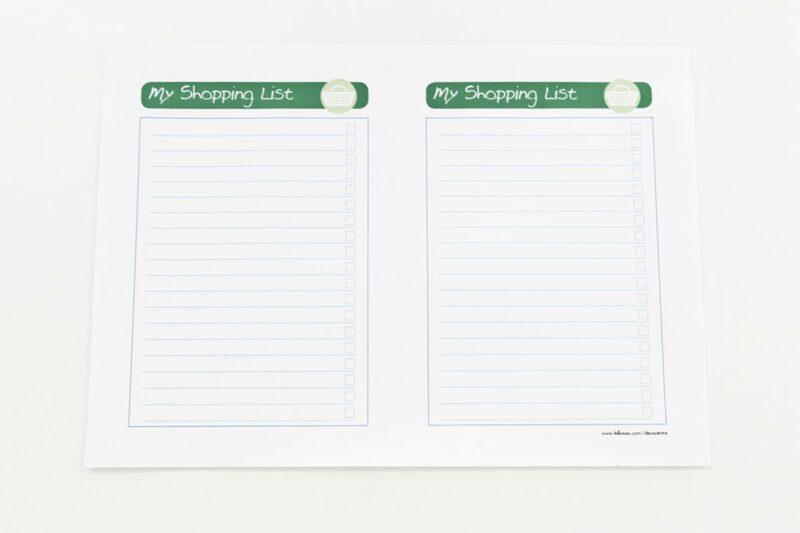 What do you give a girl who loves organising, stationery and free printables? 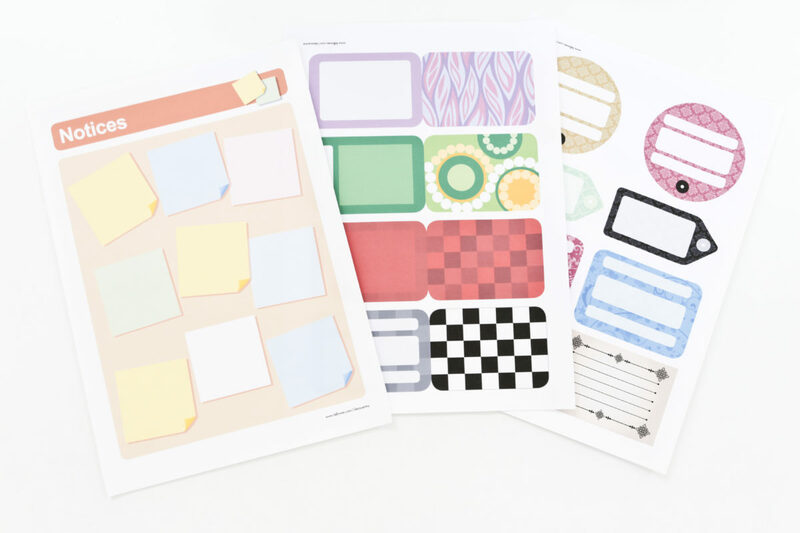 A laminator, a comb binder and a chance to check out a free downloadable printables resource, that’s what! 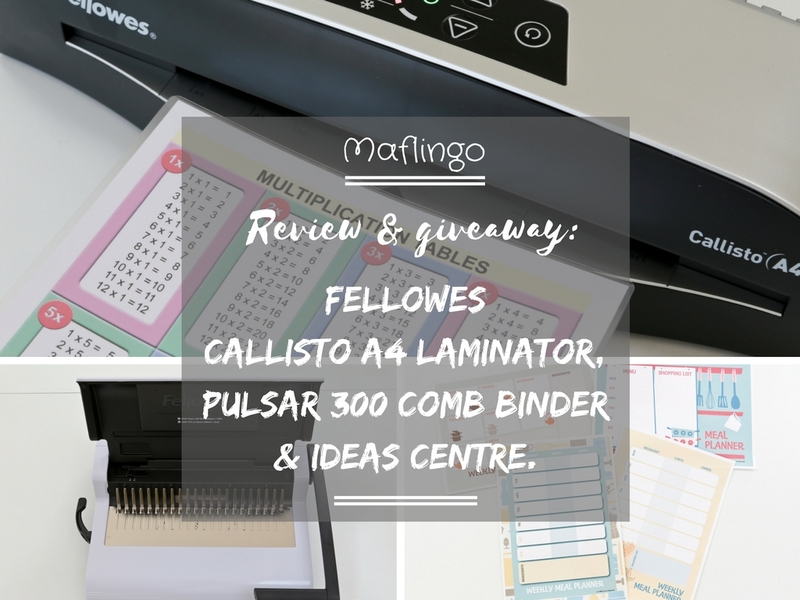 I was delighted when Fellowes sent me their Callisto A4 Laminator and Pulsar+ 300 comb binder to review. 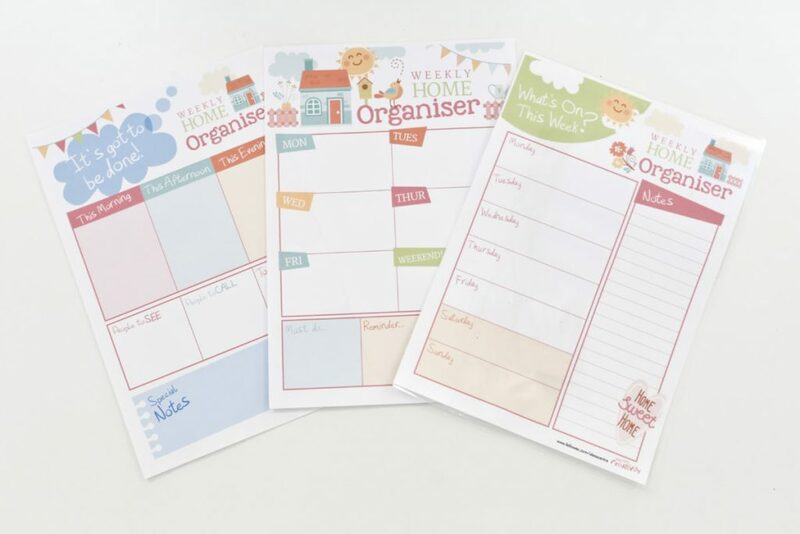 I was even more excited when they told me about the Fellowes Ideas Centre, an online resource packed with hundreds of FREE printables you can download to help organise your life (and your family’s life!). I’m not going to lie, I did let out a little squeal of delight (after the delivery man drove off, I might add) when the eagerly anticipated Fellowes delivery arrived. Emily was delighted too because the boxes were massive and it meant she could build yet another settlement in the lounge! Kids! Here I am unwrapping the lovely shiny things from Fellowes and Emily’s standing there waiting for the box! However, I knew Emily would abandon the box as soon as the important business of laminating everything within sight commenced. I’ve always wanted a laminator. I’m not even joking! 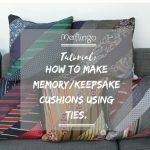 They’re so versatile and useful for arts and craft projects with the kids. Plus, when the kids draw or paint something special, I can laminate it and protect it rather than have it get all tatty and crumpled. Laminators are also great for protecting all of the fabulous recipes I find online and print off. I’m not a very tidy cook, so having wipe-clean, laminated recipes is definitely a plus! 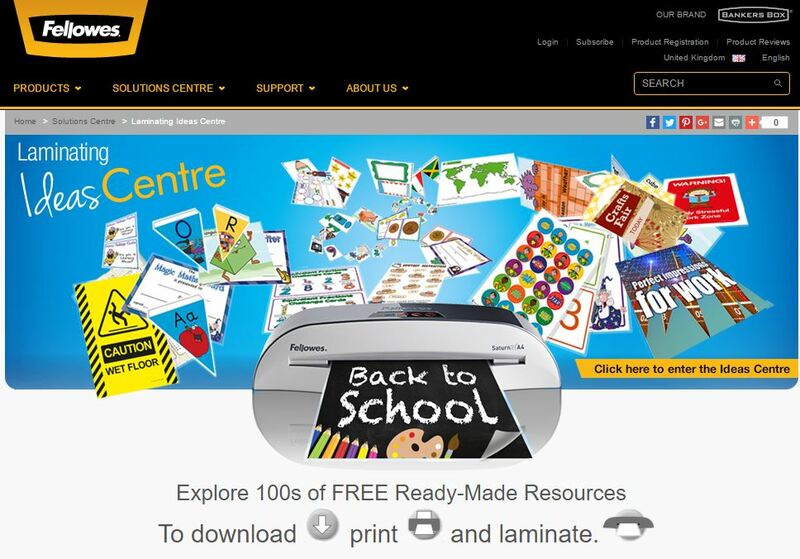 The Fellowes Ideas Centre is a fantastic resource for teachers, families and kids. 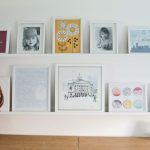 There are hundreds of printables for you to download, and what’s more they’re absolutely FREE. 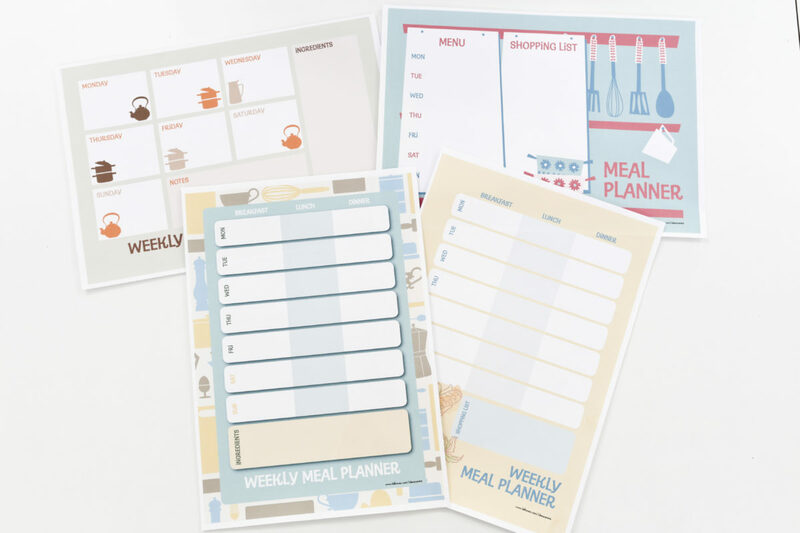 The printables include: Menu planners, home organisers, shopping lists, ‘to do’ lists, and lots of resources for teachers, including lesson planners, teaching aids and much more. We’ve got a laminated ‘What’s on this week’ Home Organiser (far right) on our fridge. These menu planners are useful too. The menu and shopping list one is a fun one when you are planning on making something with the kids and need to work out what to buy. These gift tags and luggage labels are great. 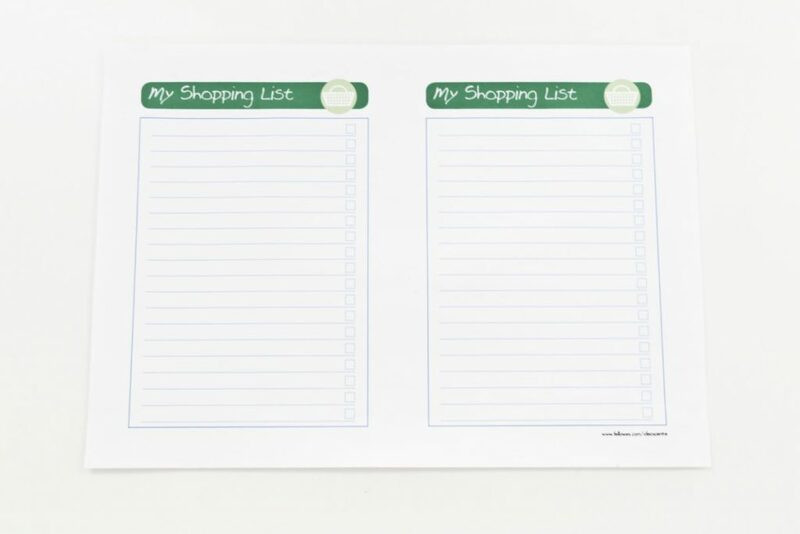 Even if you don’t have a laminator, you could print onto card. Check out all of these great printables at the Fellowes Ideas Centre: HERE. 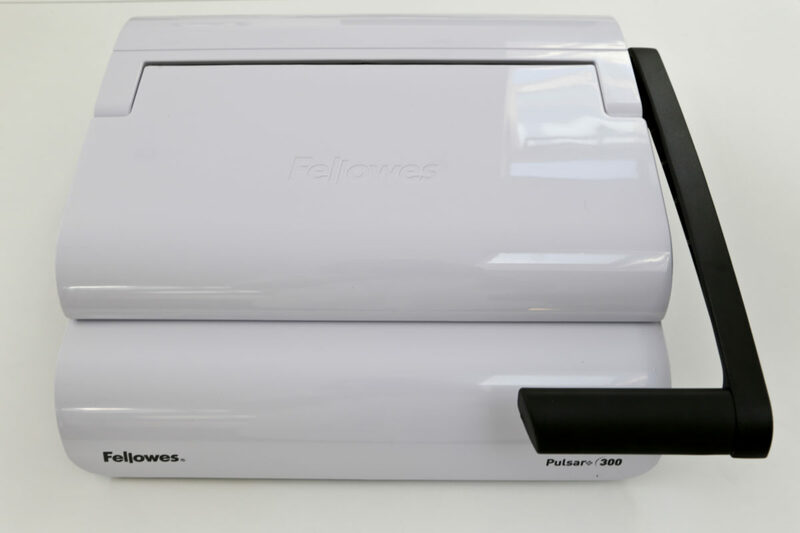 The Fellowes Callisto A4 Laminator. 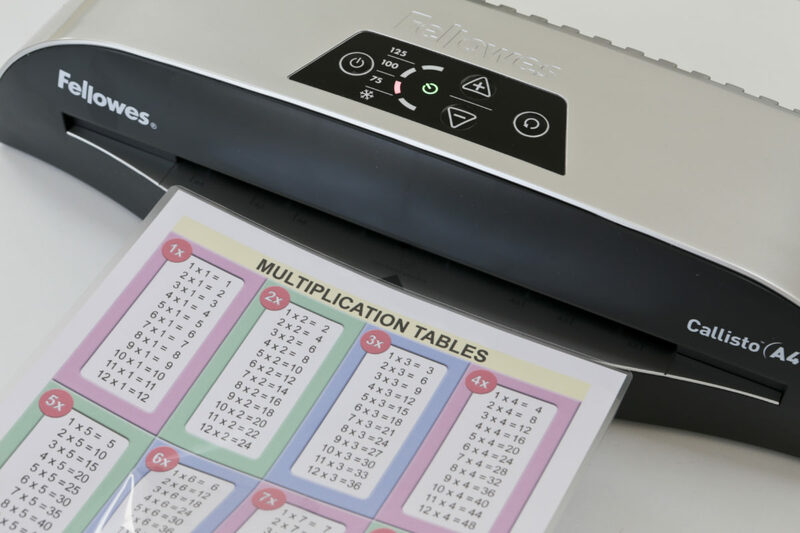 The Fellowes Callisto A4 Laminator is a smart, compact laminator. 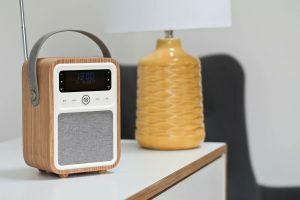 It’s aimed at the small business/home user and retails at around £90. I’m impressed by the build quality of this laminator. It looks stylish too, with its silver and grey/black finish and the illuminated, push button control panel. 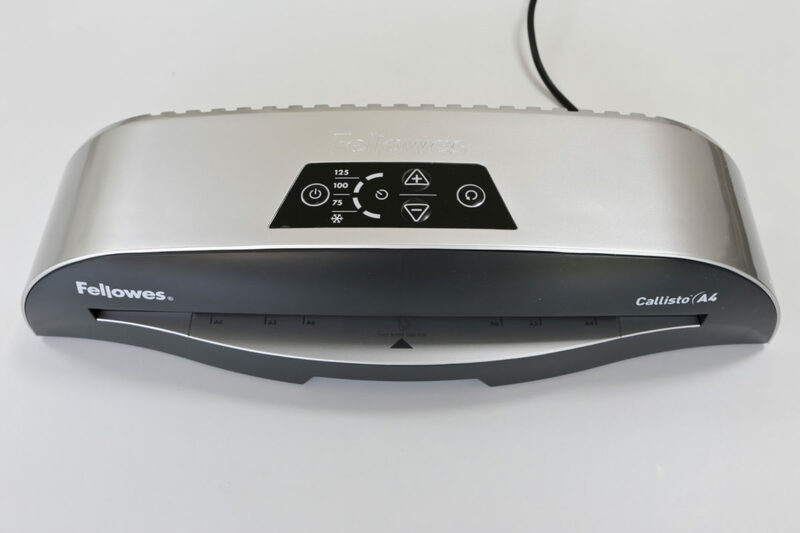 The Callisto A4 Laminator is very easy to use, simply plug it in, turn on the power switch at the back, press the standby button on the left of the top control panel and use the plus and minus buttons to select the desired heat setting, (which is dependent on the thickness of the laminating pouches you use). The Callisto laminator is supplied with a starter kit containing ten 75 microns pouches, so I selected the 75micron setting. After less than 5 minutes, the machine beeps once and the green light stops flashing, to signal it’s ready to use. Once the laminator is ready, place the item/document into the laminating pouch, make sure the pouch is flat and feed it into the slot in the front of the laminator, sealed end first. 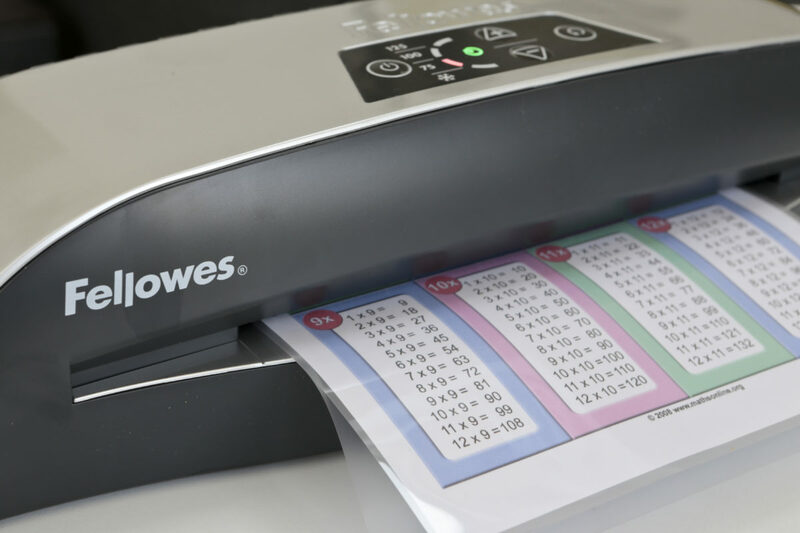 The machine is remarkable quiet and laminates a single A4 document in less than a minute. There’s anti-jam technology too and a manual reverse button, in case you need to retrieve or realign your document. I had fun laminating printables, photographs, the kid’s drawings and things they’d cut out of magazines. The Callisto laminator tackled all of these jobs with ease. Ready to use in less than 5 minutes. HotSwap allows instant changes between different pouch thicknesses without the need to wait for the laminator to heat-up or cool down. Sleep Mode is activated after periods of inactivity, reducing energy consumption. HeatGuard™ Technology – reduces the surface temperature of the laminator, ensuring it is always safe to touch. Laminates up to 125 micron pouches. Reverse mechanism for retrieving and re-aligning misfed documents. Includes starter kit for 10 documents. Fellowes Pulsar+ 300 Manual Comb Binder. Comb binders can be fairly bulky, but at 13cm H x 37cm W x 45cm D, the Fellowes Pulsar+ 300 Comb binder isn’t any larger than your average printer. 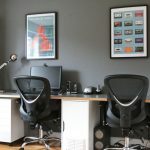 We store ours on top of the Ikea Besta shelf unit in our study, alongside our desk. Like the laminator, it retails around the £100 mark and is aimed at the small business/home office market. I think for a comb binder, it looks pretty stylish with its curves and smart, glossy white and grey colour scheme! Raise the arm on the right-hand side of the comb binder and open the lid. 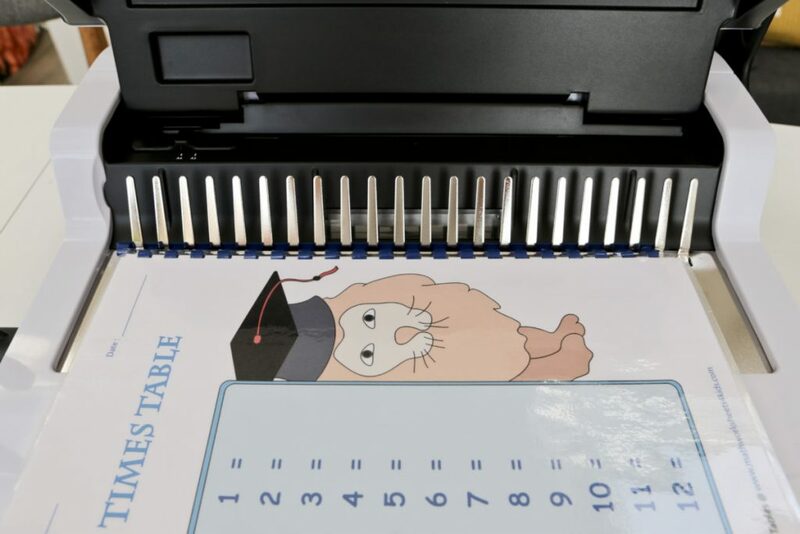 Place your paper into the punch slot along the edge you want to bind, making sure the paper is in all the way and aligned against the right-hand edge of the slot. Whilst holding the paper in position, lower the arm to punch the holes. Raise the arm and remove the paper from the slot. Push the comb-opening lever (Left-hand side) all the way back. Select the appropriate size of plastic binding comb. Lay the plastic comb into the mechanism so that the loops hang down between the teeth. Pull the comb-opening lever forward to open the comb. Load punched sheets directly onto the opened comb. When all of the punched sheets are loaded onto the comb, push the comb-opening lever backwards to close the comb. 20 sheet punch capacity, 300 sheet binding capacity with a maximum comb size of 38mm. Angled comb rake to facilitate the loading of punched sheets. Storage tray with patented comb & document measure for quick selection of the correct size supplies. Includes starter kit for binding 10 documents. Putting the laminator and comb binder to the test. 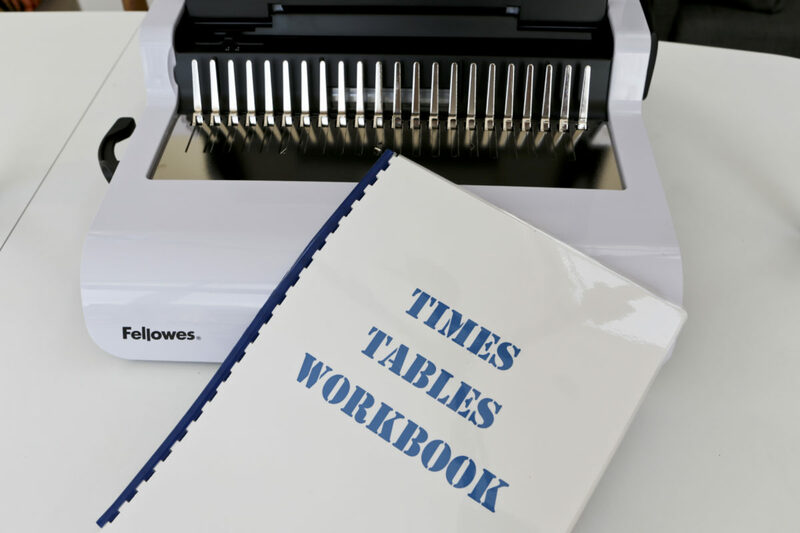 One of the homework tasks Emily was set over the summer was to revise all of her ‘Times Tables’. This gave me a great idea for putting the laminator and comb binder to the test. 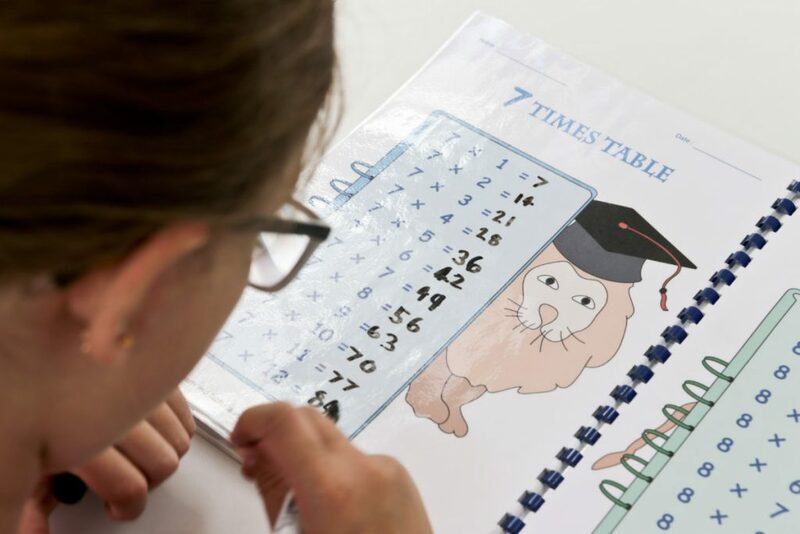 I decided to make a laminated Times Table Workbook containing: a one-page Times Table Revision guide Guide; Completed times tables and blank times tables for times tables from 2-16. Laminating the workbook meant Emily could revise her tables and then test herself by filling in the blanks using a dry wipe marker. 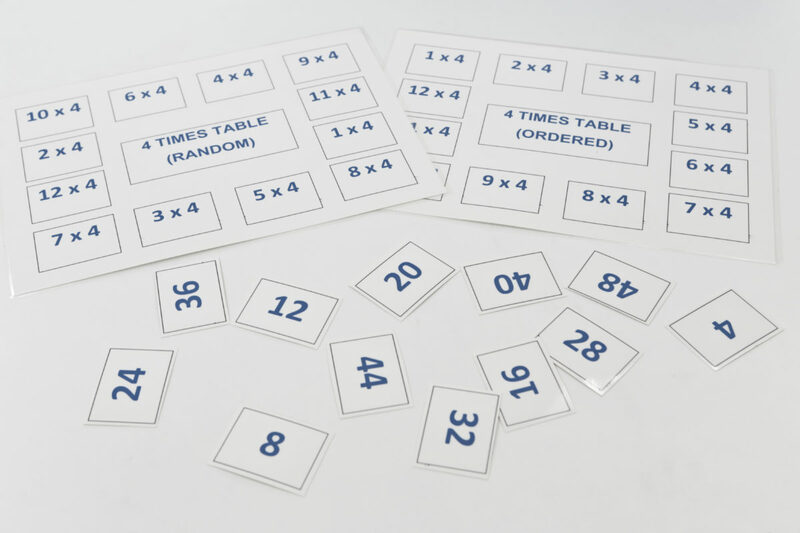 One of the teachers at Emily’s school introduced me to a great game for testing Times Table knowledge. 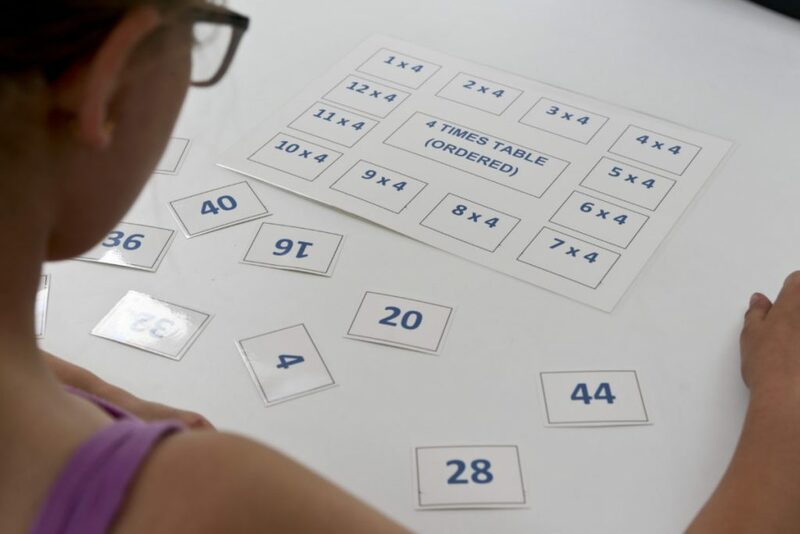 For each Times Table, you have to complete them against the clock by placing the number cards in the correct place on game board. There’s a ‘random’ and ‘ordered’ Times Table board for each table. 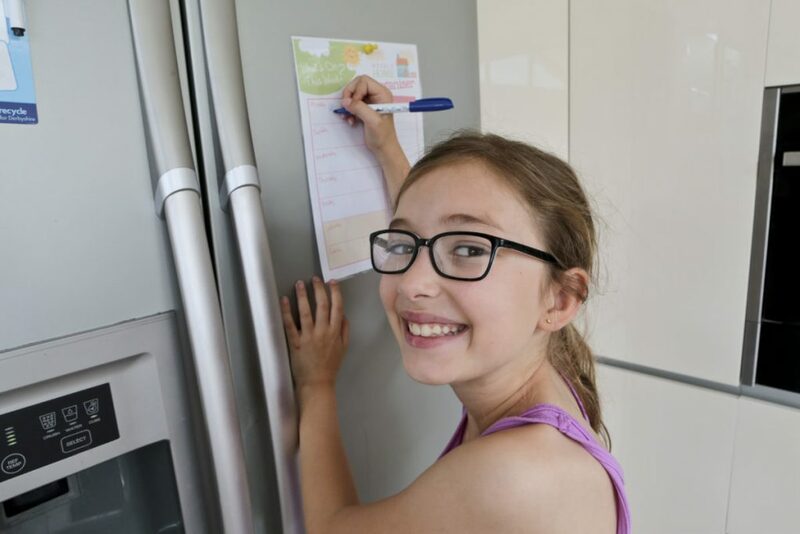 I think it’s a fun way for kids to learn their Times Tables and Emily likes to try and beat her personal best! I’m really impressed by the ease of use, build quality and styling of the Fellowes Callisto A4 Laminator and Pulsar+ 300 Comb binder. 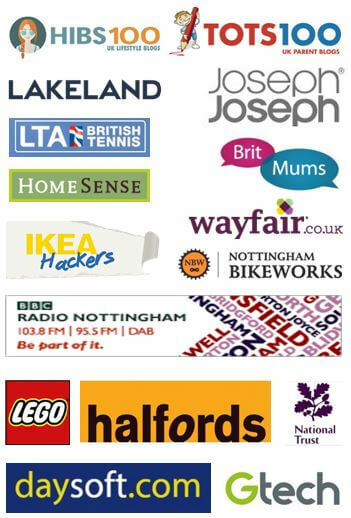 They offer endless possibilities for my craft and organising ideas. We’ve already made good use of our laminated shopping list and dry-wipe ‘What’s on this week’ Home Organiser. Plus, with Christmas approaching (sorry!) I’ll be popping back to the Fellowes Ideas Centre to take full advantage of their free gift tag and menu planning printables too. Why not visit the Fellowes website (HERE) and take a look for yourself? 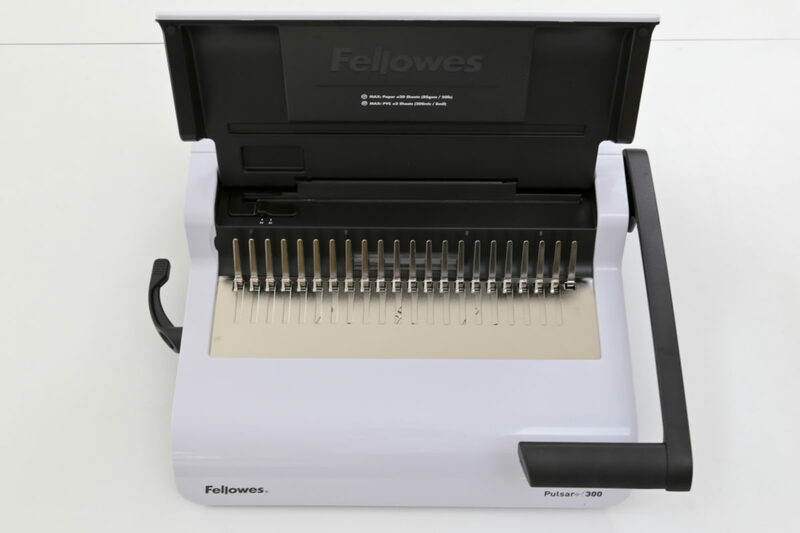 Win a Fellowes Laminating pouch and Comb binding starter kit bundle. 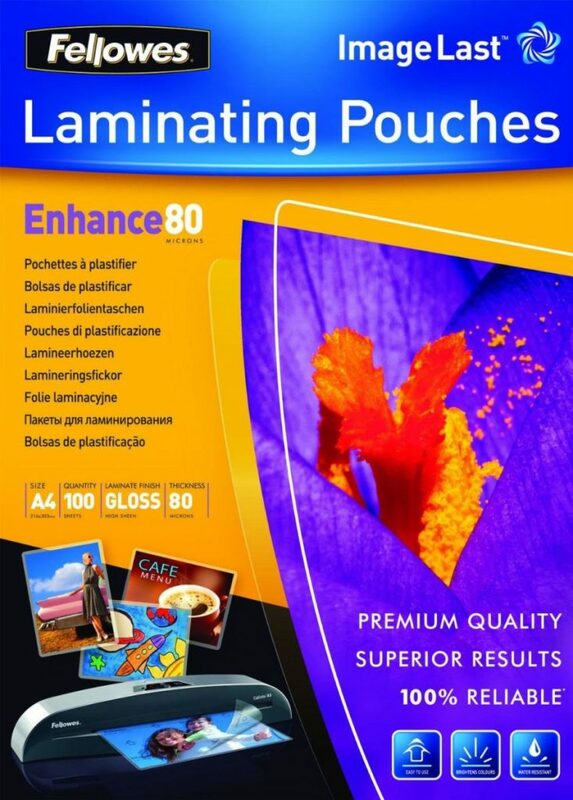 1 x Fellowes ImageLast A4 Laminating Pouch, 80 Micron (Pack of 100). 1. 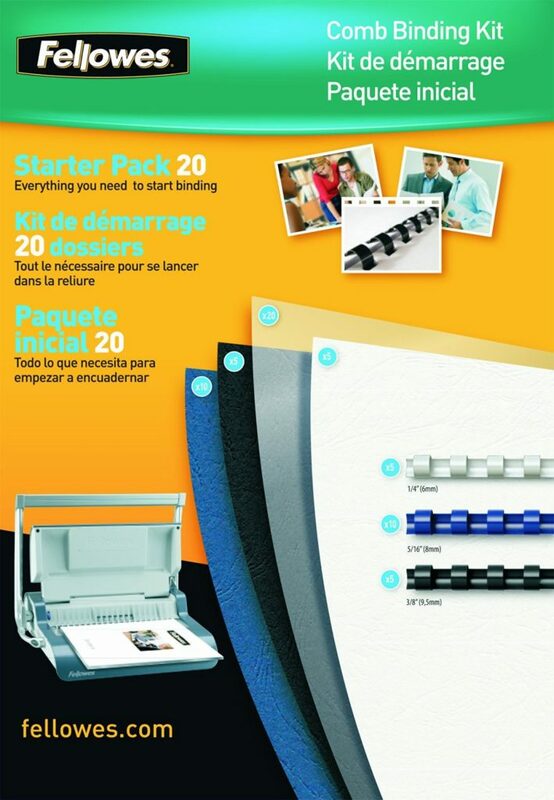 There is one prize (Fellowes laminating pouches and comb binding starter kit bundle) available for one winner. 3. Up to 5 entries per person. All are compulsory methods of entry. 7. Entries must be received by 11.59 pm on 27th September 2016. 8. The winners will be chosen at random and notified by email on 28th September 2016. Have you got a laminator or comb binder? 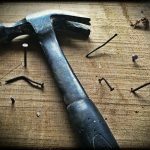 If so, what kind of projects do you use it for? Are you interested in visiting the Fellowes Ideas Centre or exploring any of the other free downloadable printables available to help organise your life? As always, I’d love to hear from you. Fellowes sent me the Laminator and comb binder for the purposes of this review. As always, the words and opinions are my own honest assessment. 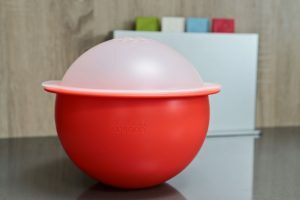 There's a new gadget for your kitchen! 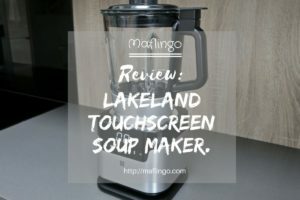 The Lakeland Touchscreen Soup Maker promises delicious homemade soup in just 30 minutes with no mess and no fuss. It's not just for soup either, you can blend and cook sauces or blend without heating to make smoothies, milkshakes and baby food. Read on for my review and vlog as I put it through it's paces.